Download and Update Samsung Galaxy Tab S4 SM-T837V to latest Official Android 8.1.0 Oreo VRU1ARGG OTA firmware. 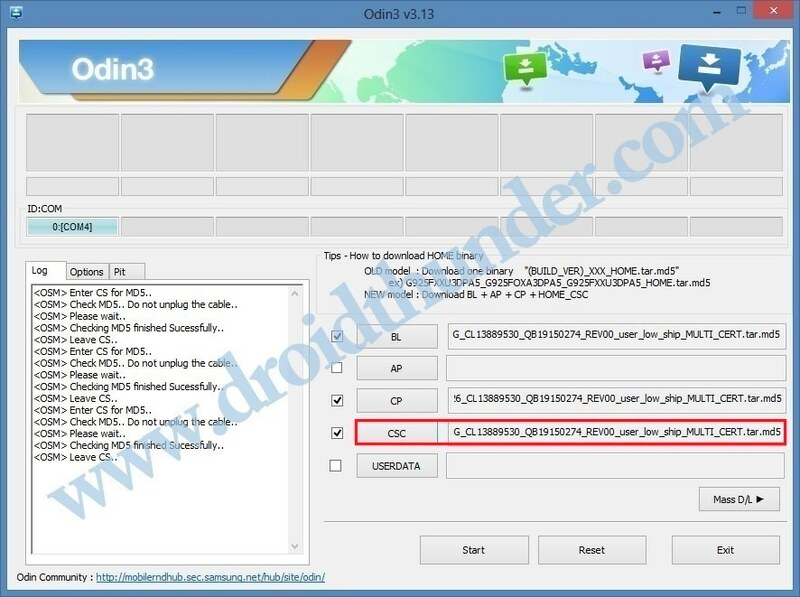 Flash Stock ROM using Odin v3.13 software. Last month Samsung released the fourth-generation Galaxy Tab S tablet. Similar to its predecessors, Galaxy Tab S4 is a high-end device that doesn’t quite go into flagship territory with its specs. But there are quite a few things that make it a great tablet so far. Galaxy Tab S4 comes with a 10.5 inches of Super AMOLED display with 1600 x 2560 pixels of resolution. It sports an amazing 16:10 ratio which gives a great experience in watching videos. The earlier tablets, Galaxy Tab S2 and Tab S3 had only 4:3 aspect ratio which wasn’t good enough. 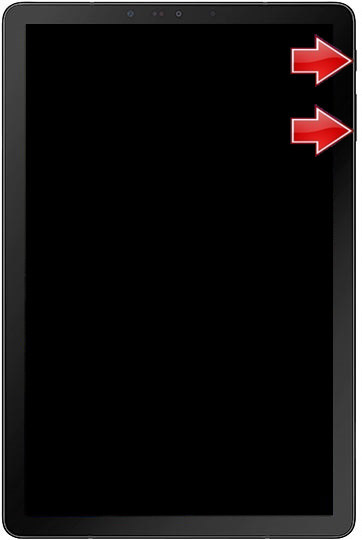 Samsung has removed the fingerprint sensor from this tab as well. But it does have an iris scanner and facial recognition along with the intelligent scan feature. With Galaxy Tab S4, you can get a desktop like experience right on the AMOLED display. 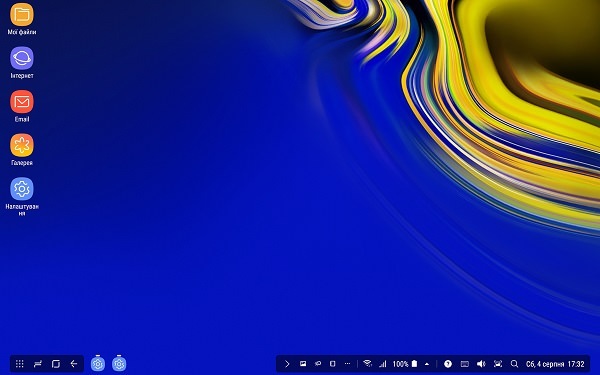 All thanks to the DeX Mode feature, allowing for opening desktop versions of various apps. The tab can also be used as a second screen by connecting it via a USB to HDMI adapter to an external monitor. Tab S4 features a 2.35GHz Snapdragon 835 Octa-core processor with 4 GB of RAM and 64 GB of internal storage. Talking about the camera it has a 13 megapixel camera at the back and an 8 megapixel of front camera. It features 7,300 mAh battery with fast charging support and up to 16 hours of video playback. Tab S4 comes with four loudspeakers tuned by AKG with excellent audio quality. On the software front, there’s Android 8.1 Oreo with Samsung Experience 9.5, a first for any Samsung device. 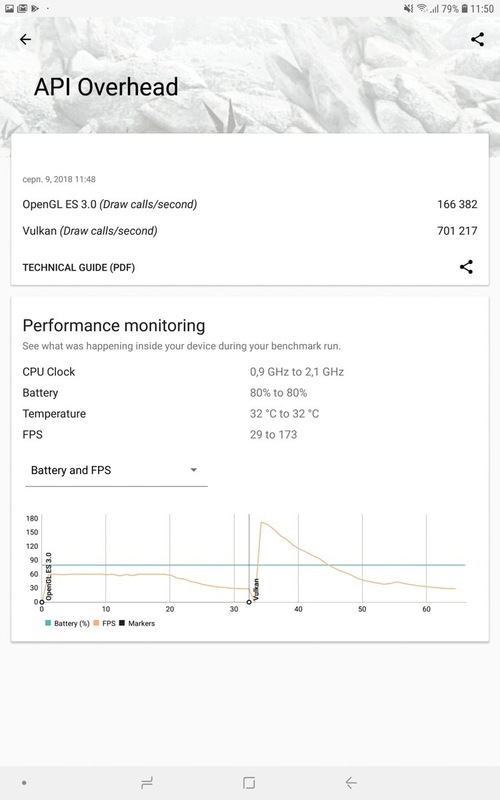 Recently Samsung rolled out T837VVRU1ARGG firmware update for Galaxy Tab S4 through OTA (over the air). This is the latest build which includes July security patch. 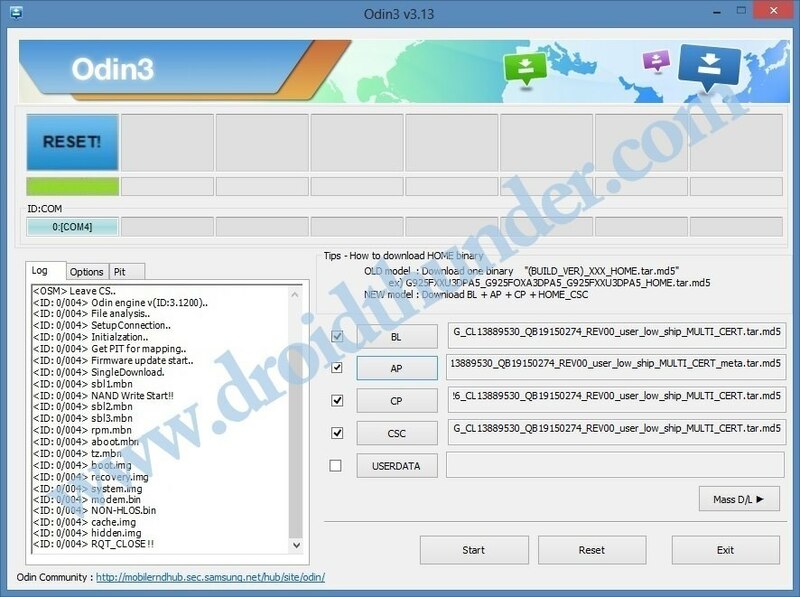 If you haven’t received this update yet, then go ahead manually flash it using Odin3-v3.13 tool. 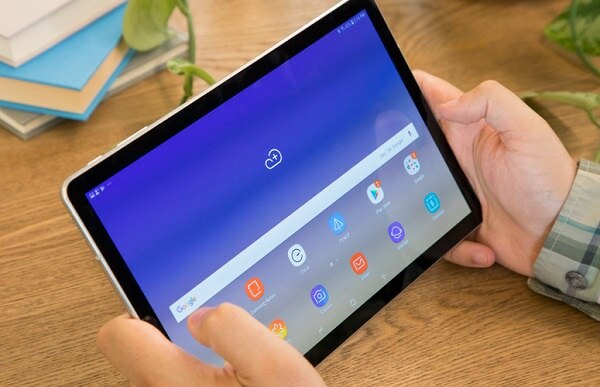 Go through our step by step guide given below on how to install the latest official Android 8.1.0 Oreo VRU1ARGG firmware on Samsung Galaxy Tab S4. 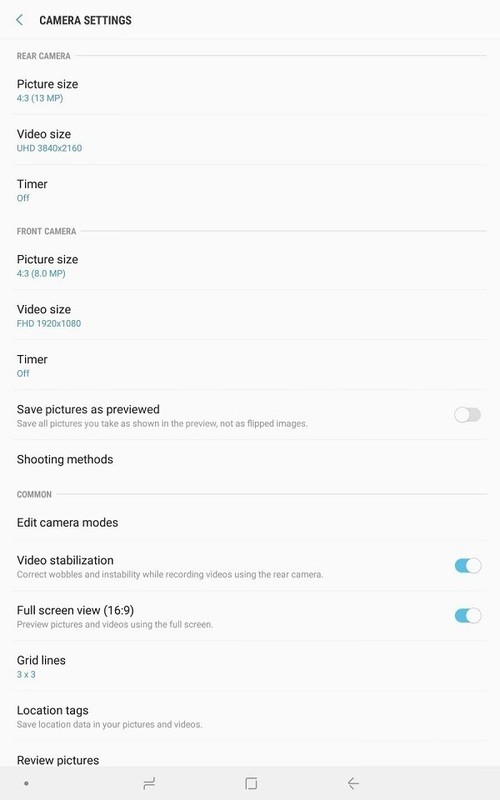 This is United States (USA) OTA update with the new Samsung Experience 9.5 functionality. And note that this is an official Stock ROM update rolled out by Samsung, hence there are no chances of losing your tab warranty. Proceed at your own risk. 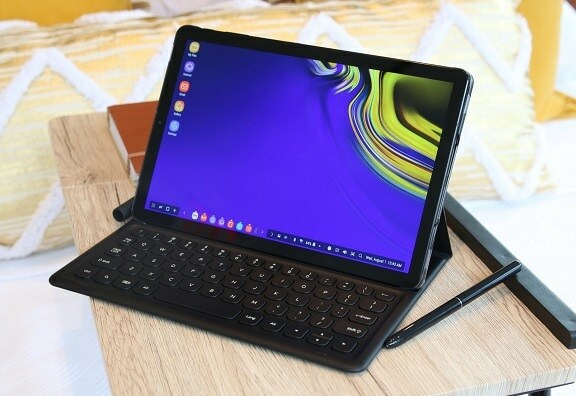 We at DroidThunder.com will not be held liable if your Galaxy Tab S4 gets bricked or damaged by following this guide. 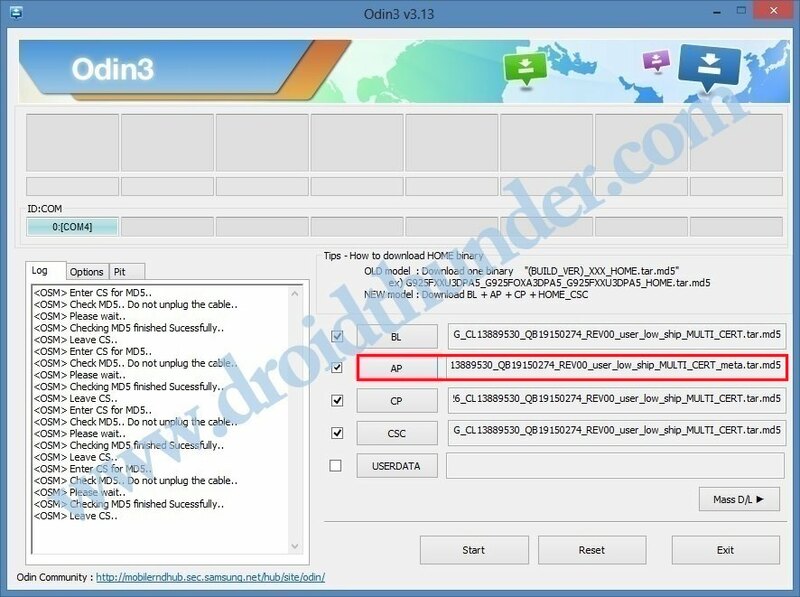 This Android 8.1.0 VRU1ARGG Oreo firmware must be flashed only on Samsung Galaxy Tab S4 with model number SM-T837V. Installing this firmware update on any other tab or variant might brick your device. So confirm your tab model before moving further. Ensure that your tab is charged at least up to 60% to avoid any unwanted interruption. Backup complete data including contacts, apps, messages, call logs, notes etc. as everything gets wiped in the last step. Install latest Samsung USB drivers on your PC so as to detect your tab when connected through USB cable. You can install them from the link given below. (Optional) To avoid any interruption, temporary disable all the security tools as well as antivirus that are installed on your PC. 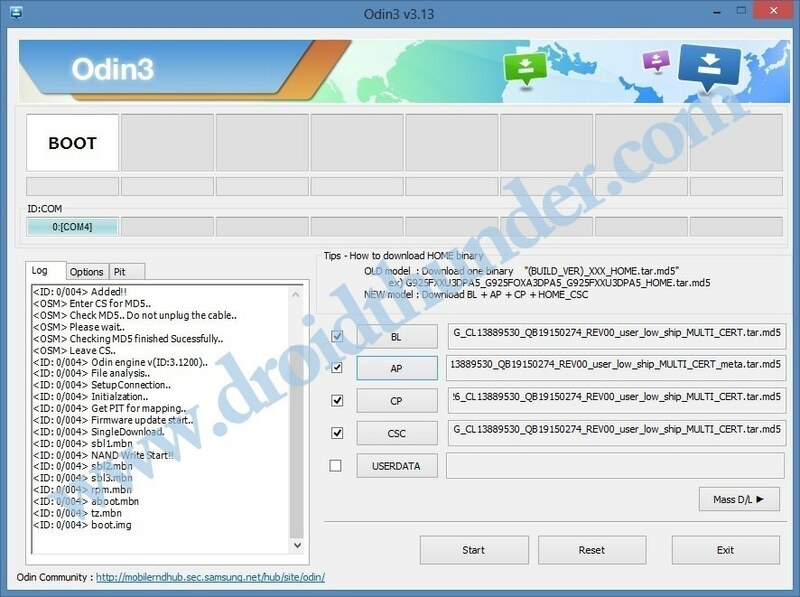 Download Odin3-v3.13.1 for Samsung Galaxy Tab S4. Download Android 8.1.0 Oreo firmware for Samsung Galaxy Tab S4. 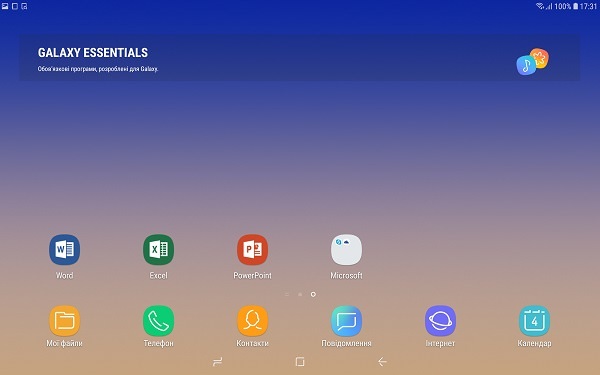 Step 2: Power off your Galaxy Tab S4 completely. Step 3: Then boot it into downloading mode. For that, press and hold the ‘Power button + Volume down key’ simultaneously until you see a warning message. 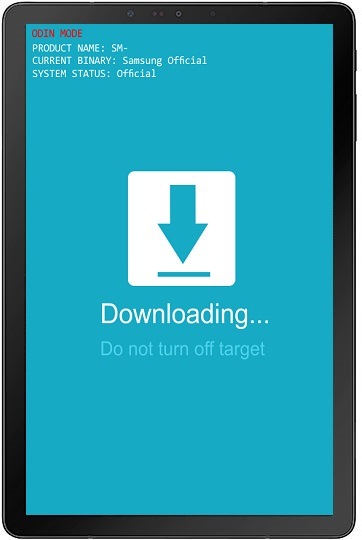 Leave both the keys and just press Volume Up key to enter the download mode. Step 4: Keeping the tab in download mode, connect it to PC using USB cable. Step 5: Go to the downloaded folder on your PC and launch the downloaded ‘Odin Multi Downloader3-v3.13.1′ software which you’ve just received after extraction. As soon as you launch it, the ID: COM section located at the top left corner will turn light blue. 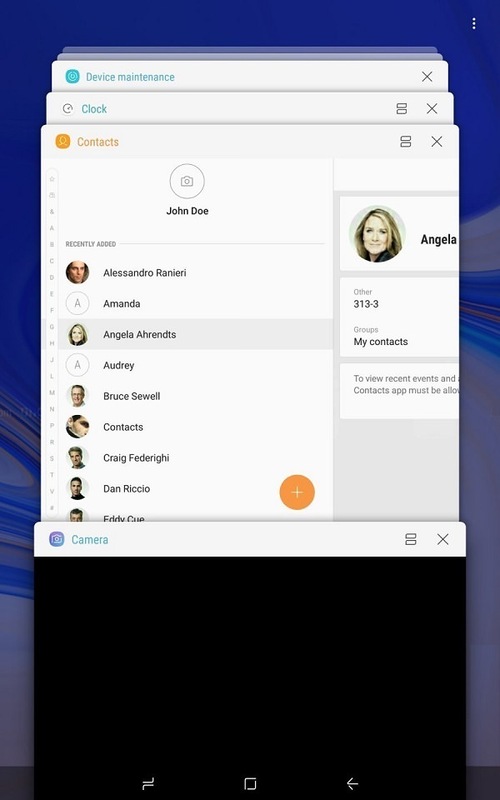 Also an Added message will appear in the message box window. 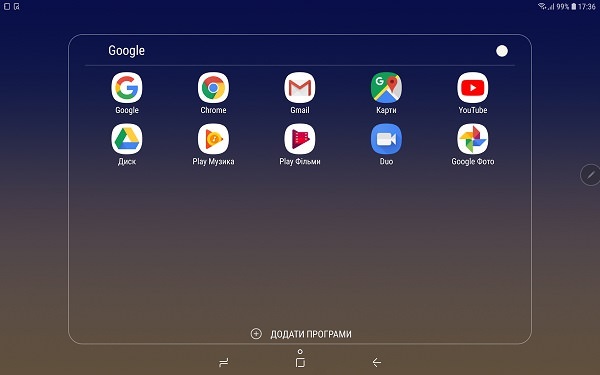 This will confirm that your Galaxy Tab S4 has been successfully connected to your PC. Note: If such thing doesn’t happen then it’s more likely to be problem with the mobile USB drivers. So manually install the drivers from the links given in the Pre-Requisites section. If the problem still persists, then try changing USB cable or the USB port. Step 6: Now click on the Options tab located on the Odin window and tick the Auto Reboot and F.Reset Time options. Note: Do not tick the Re-partition option as it might brick your phone. Don’t use the PIT tab either. Step 7: Then, click on the BL button and select the BL_T837VVRU1ARGG_CL13889530_QB19150274_REV00_user_low_ship_MULTI_CERT.tar.md5 from the firmware package file. Step 8: Similarly click on the CP button and select the CP_T837VVRU1ARGG_CP10286926_CL13889530_QB19150274_REV00_user_low_ship_MULTI_CERT.tar.md5 file. Step 9: Then click on the CSC button and select the HOME_CSC_OMC_VZW_T837VVZW1ARGG_CL13889530_QB19150274_REV00_user_low_ship_MULTI_CERT.tar.md5 file. Note: Normal CSC contains an instruction that allows Odin to wipe out complete data while HOME_CSC contains instruction to only allow wipe of cache. But when a downgrade is done (eg. from Oreo back to Nougat) a factory reset is must. So use normal CSC at that time. Step 10: And lastly click on the AP button and select the AP_T837VVRU1ARGG_CL13889530_QB19150274_REV00_user_low_ship_MULTI_CERT_meta.tar.md5 from the firmware package file. It will take time to load. Step 11: Just begin the firmware flashing process now. For that, simply press the Start button located on the Odin window. 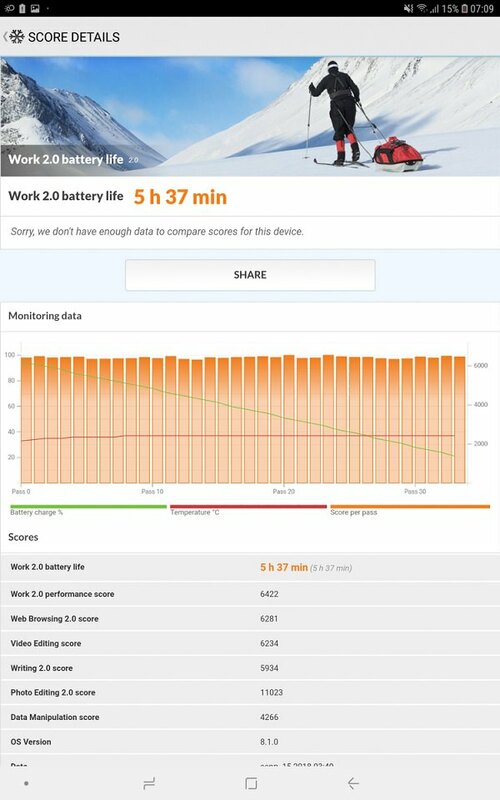 Note: Your device will automatically restart itself. Do not disconnect your tab from PC as it will interrupt the flashing process. Step 12: When it completes successfully, the ID: COM section will turn green with a message ‘Pass’ on it. Also your tab will automatically restart itself. This will confirm that the official Android 8.1.0 Oreo VRU1ARGG firmware has been successfully installed on your Samsung Galaxy Tab S4. Now you can disconnect your tab from PC by safely removing the USB cable. Note: If this firmware flashing process fails or if Odin gets stuck or in case your tab gets stuck into boot loop, then close the Odin window, again go into downloading mode and implement the complete procedure as given above. Great! Your Samsung Galaxy Tab S4 Verizon has been successfully upgraded to latest Android 8.1.0 Oreo SM-T837V VRU1ARGG official firmware. You can confirm the same from Menu->Settings->About Phone. Do share your views and experiences after using this official Stock ROM.